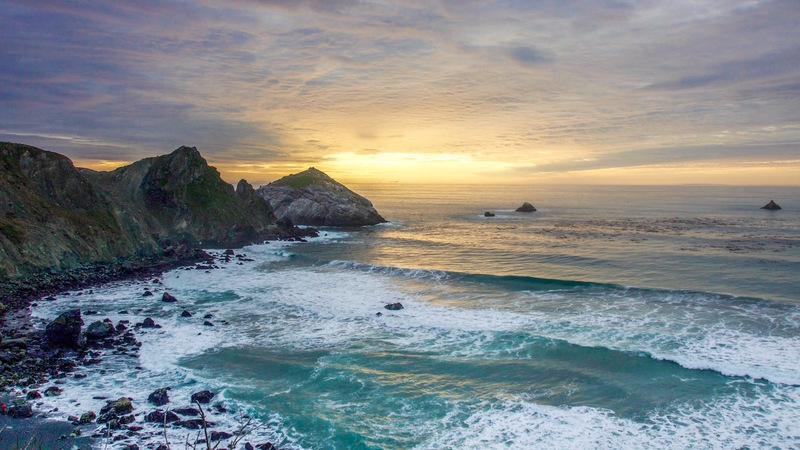 Take a drive along California’s central coast and discover the best of California: incredible ocean views along rugged coastlines, dense pine forests and unspoiled beaches. 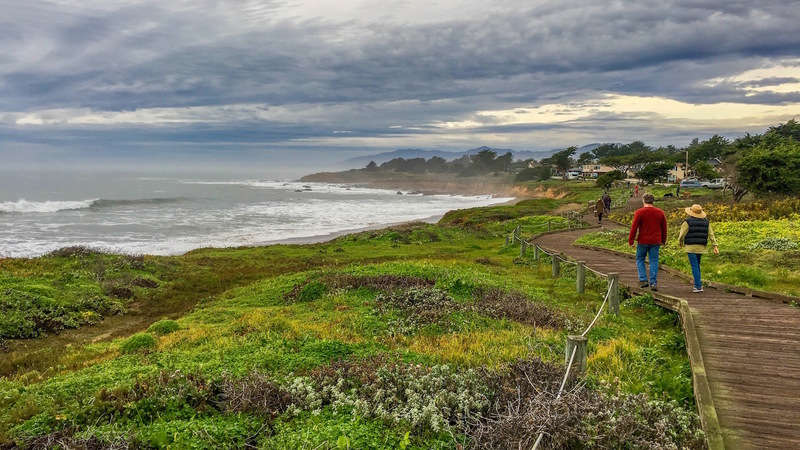 Walking along Moonstone Beach on a stormy day in Cambria is reminiscent of visiting the craggy coast of Scotland — complete with a layer of low-slung fog and misty air. As the ocean front trail winds its way through grassy hills with random bursts of wildflowers, new scenery reveals itself around every bend. 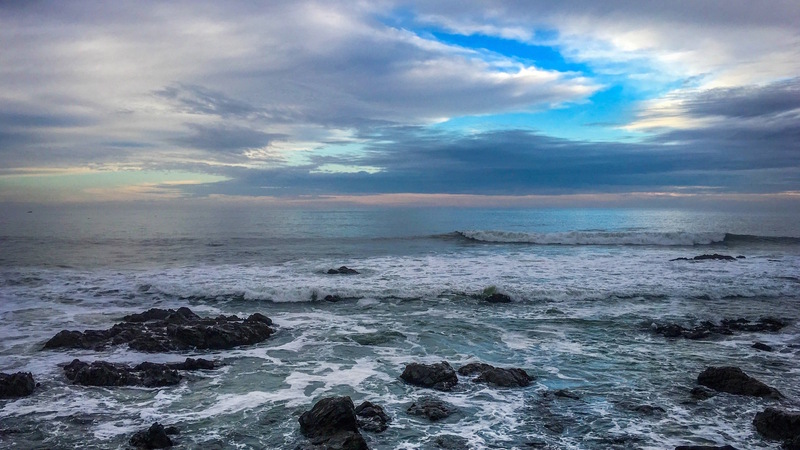 During a typical sunny California day, you’ll be blessed with blue skies reflective in the sparkling sea below, but the unpredictable beauty from a cloudy day may prove to be even more rewarding. 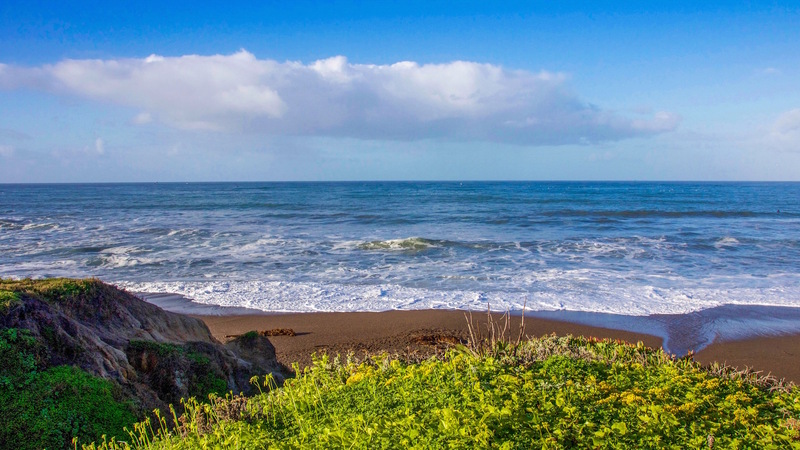 This inviting seascape is conveniently located across the street from Cambria Beach Lodge, a hip new boutique hotel with a beach-inspired decor. The lodge was completely redesigned in 2016 to reflect the surrounding beach front environment and represents a local community of adventurers, winemakers and artists. 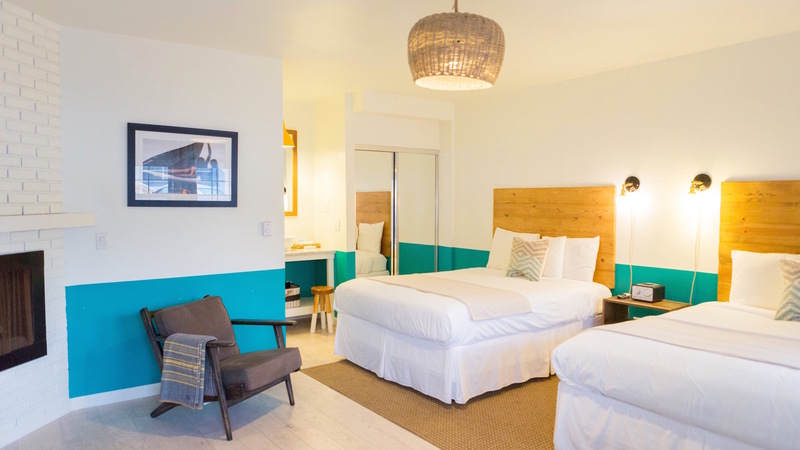 Turquoise color block walls provide a nice contrast to the bleached wood floors in the guest rooms, and the curated mini bar is made up of locally sourced goodies. After a day of adventure, cozy up next to the fire, wrap yourself in a wool blanket and enjoy a glass of wine and a movie. In the morning, go for a walk along the boardwalk to fully absorb the sounds of the surf and watch the dramatic skies change constantly, as light struggles to burst through the dark grey clouds. Back at the hotel, complimentary breakfast at Cambria Beach Lodge is definitely a step-up from the usual continental, featuring local coffee, fresh juice, whole fruit, hardboiled eggs and specialty sweet breads. 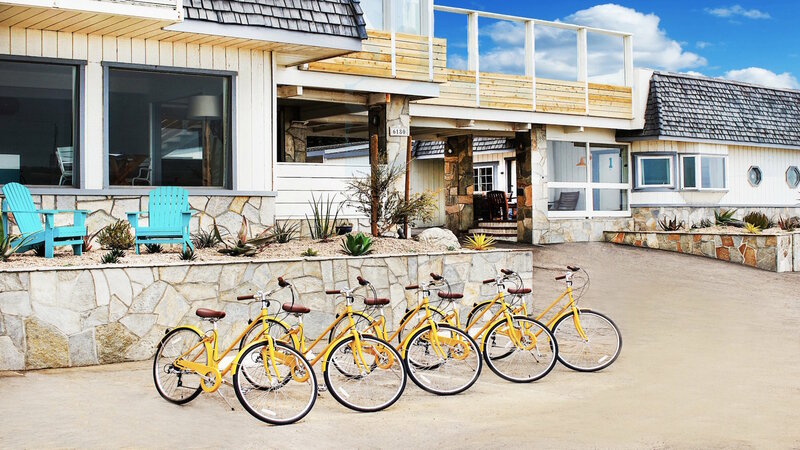 Afterwards, hop on one of the hotel’s free bikes and check-out the charming town of Cambria. 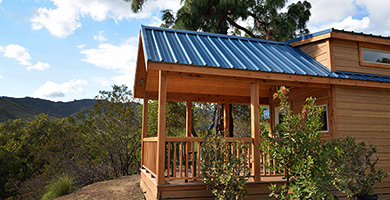 The town’ s motto ‘Pines by the Sea,’ accurately describes this welcoming stretch of California coastline filled with pine forests and unspoiled beaches. 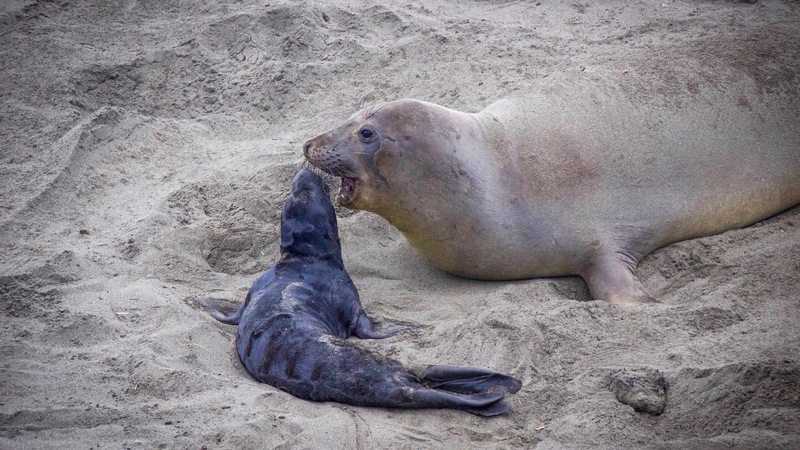 If you’re traveling north to Big Sur, stop off to view the elephant seals lounging on the beach at Piedras Blancas Elephant Seal Rookery. The male seals can be very aggressive and territorial, so the idyllic scene encompasses a dose of nature’s harshness as well. Drive north another 1.5 hours to McWay Falls in Big Sur, a popular spot for tourists due to it’s brilliant cyan blue pool of water that flows into the ocean, which looks especially magical at sunset. Hint: you can park along the highway above Overlook Trail to avoid paying the state park admission. The trail entrance is easy to find, as many visitors will have the same idea. 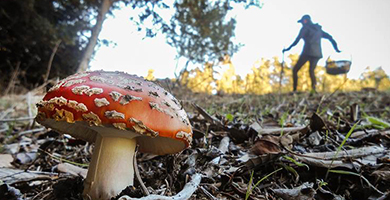 At one point on the trail, you have the option of turning inland to explore more of the wooded areas in the park, as well as some of the best coastal views in Big Sur. Grab lunch at Big Sur Bakery & Restaurant or Nepenthe, famous for it’s panoramic ocean views. 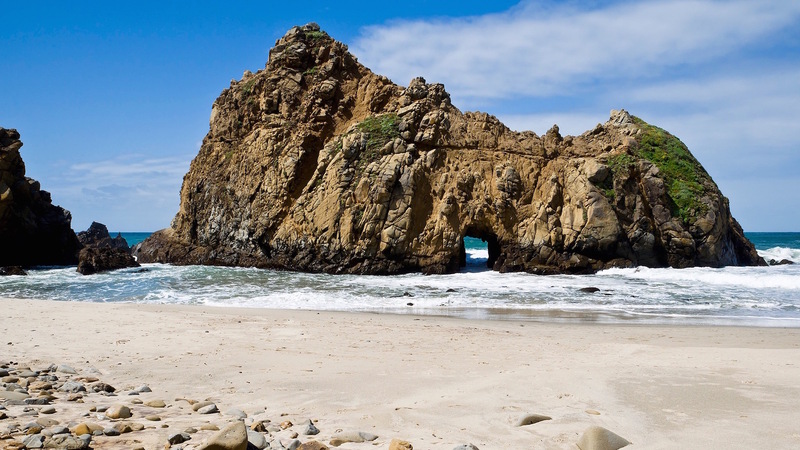 If you’re only spending the day here, try and get to Pfeiffer Beach (not to be confused with Pfeiffer Big Sur State Park), a photographer’s dream with a nature’s made “doorway” in a large rock formation and purple sand on the beach. It can be difficult to find this somewhat “secret beach” as there isn’t a sign from Highway 1. Look for Sycamore Canyon Road and a yellow “Narrow Road” warning, in between the post office and Pfeiffer Big Sur State Park. The entrance is $10 cash and there might be a wait, but it will be worth it! Be sure and time your trip so that you’re not driving on the winding mountain road in the dark. 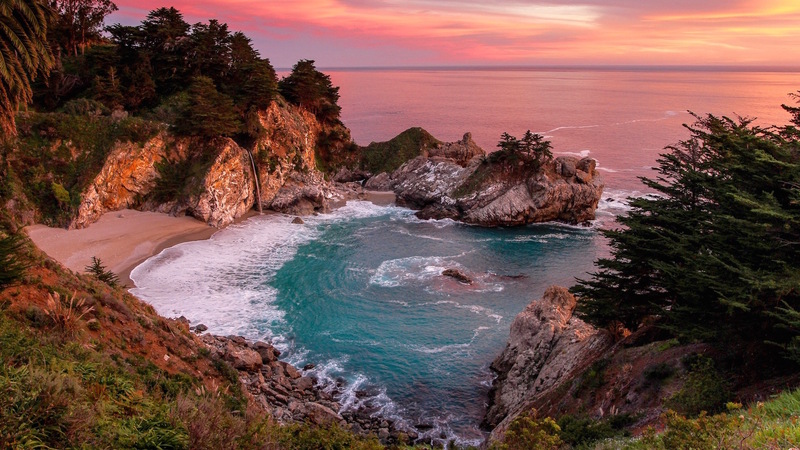 If you’re heading north to Carmel and Monterey, stop off at Point Lobos State Park to see stunning vistas and cypress trees along the coastal trail. This area is close enough to do the next day if you don’t have time. In any case, don’t miss the opportunity to view the sunset wherever you are along Highway 1 and pull over to capture one of nature’s most stunning vistas. The next morning, a new day reveals itself in bright blue skies and a beach view that could easily pass for one in Maui. Rain or shine, Moonstone Beach is a gem. As you walk along the shore, it will effortlessly force you to slow down and provide a peaceful retreat from the hectic pace of life. Take this sense of peace with you and come back whenever you need a reboot.